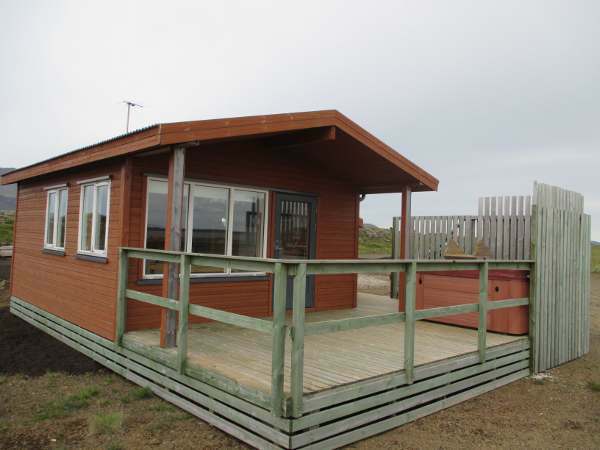 There are three studio-cottages at Fjaran, two are 32sq.m. and one larger with two double bed rooms. Each with bathroom, WC and shower. 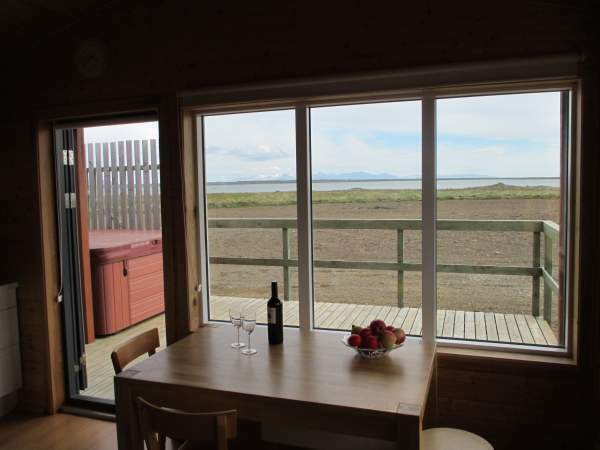 Furniture and fully equipped kitchen for up to 5+ persons. Houses are electrically heated. 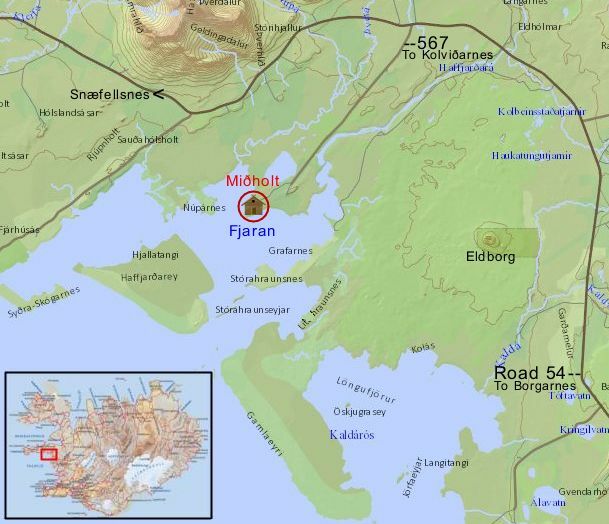 Fjaran is located at the farm Miðholt 125km from Reykjavik, 50km from Borgarnes and 55km from Stykkilshólmur. The co-ordinates are: N64.80 W-22.45. Note that there is no shop nearby so you have to plan for your supplies.